Glowy: Shoe Of The Day: NO. 21 Knotted floral-print Canvas Mules. 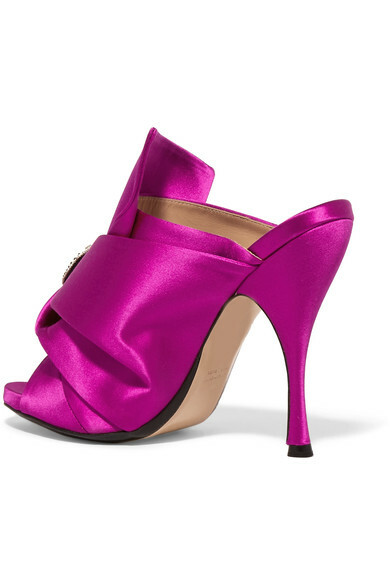 Shoe Of The Day: NO. 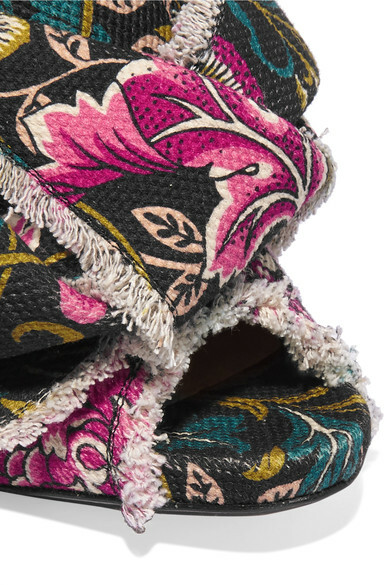 21 Knotted floral-print Canvas Mules. I've known this designer brand for a while now and i must honestly confess that am totally blown away with their near perfection styles... oh ma gosh am drooling over these cuties right now. You can purchase this baby here for $675. Speaking on the style, we've seen Nigerian actress Ini Edo wear same style but in a different color and i love the way she paired it up with her African prints. 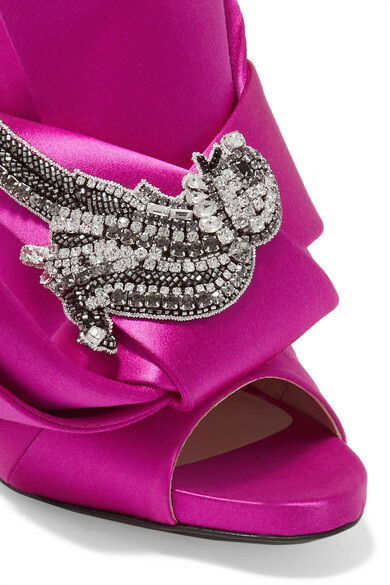 Styling this shoe ain't difficult atal but it could look tricky to the wearer when paired with some kinds of outfit. So to my lovely GSB, i will say pick your poison cos mine is the pink. I like the colourful design. Really cool. Lovely mules, beautil print and color! Oh wow, these are so amazing! I love the gorgeous print on these mules! If I wore heels more often, they'd definitely be in my repertoire. I love love this one! Won't mind adding a pair to my arsenal. You should get it.. I'ld love to see how you will style it..